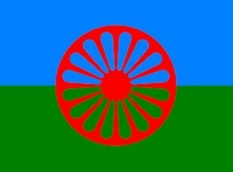 The first Typical Regional Roma House was created by civil ini¬tiative in 2001 in Hodasz. The Roma people’s country house architecture and interior design exhibitions are housed in two buildings in real-life envi¬ronment for visitors to explore the Roma interior furnishing of the region. The official opening of the Country House was held in September 2009 as part of the I. National Church Rome Choir Festival. You can find nearly 400 country houses in the different parts of the country in Hungary. The Roma Country House in Hodasz aims to fill gap of 40 years and will hopefully be an example to other Roma and Beas communities to live in si¬milar initiatives. People can live in village or town, in a coastal city or in a vil¬lage in Nyirseg, in clay house or in a luxurious cottage, but in order to live our daily lives with erectness people must know their past, their history. It’s easier to find our place if we honor those traditions by which we can identify and accurately un¬derstand and assume our identity. If we do all this by faith, then we can keep a man seeking happiness. The First Roma Country House would contribute to do so. language, two sets of Roma living in the village: there are those who speak Romany, the Gypsy language, and there are those who have unfortunately forgotten, who can not speak it, those are so called Hungarian Gypsies. 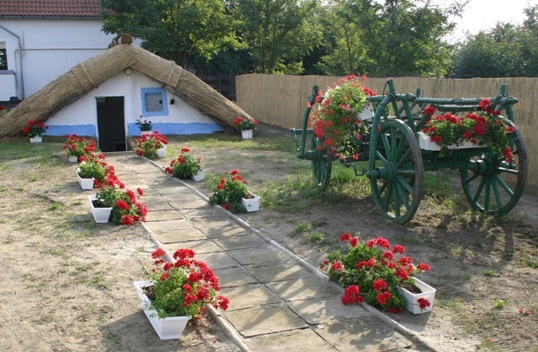 Hodasz has become famous for Gypsies living here. In 1941 the village received a Greek Catholic clergyman, young Miklos Solya, who served for Hungarian churches and besides he also visited the shanties of the Roma settlement in his spare time to talk about God to the local residents. Later, thanks to the request and donation of the older members of the community jointly purchased a clay house, and remade it into a chapel then the liturgy was translated into Roma language, so the church services were held in their native language. The old dean, who was called a rashaj-s (priest) by the community for nearly fifty years operated in the town, often along with the work of clerical tasks doing some kind of social protection. Today there is a beautiful chapel in the place of the former chapel converted from the clay house. Next to the chapel a community center and an elderly home are located, behind there is a clinic for mothers and a recently built kindergarten. The denominational distribution of the village shows a rich pic¬ture: next to the Roma Greek Catholic chapel you can find a Hungarian Greek Catholic Church, a Roman Catholic church, an Evangelical Church and the chapel of the Calvary of the Christian Minority Church. 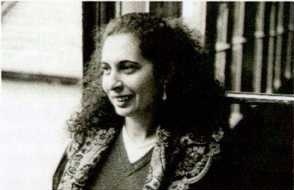 The other attraction is related to my mother, Mrs. Mihaly Rezmuves (Coppersmith), Lina. She was thirty-one years old when in the middle of the gypsy site she set up a ’string’ kinder¬garten in 1970. 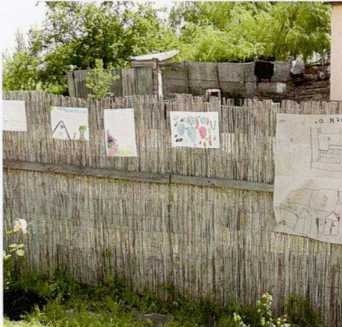 A year later by the support of the local Roma community and the Patriotic Front in the place of the outdoor initiative a kindergarten was built. Thus, the Gypsy children can act in a nursery school. The building originally was functioning with one chamber and a kitchenette. In the 1980s with the help of a company in Budapest the building was expanded with one more chamber, an office and a toilet. Thanks to my mother the children could enjoy the stories in two languages and were able to participate in the sessions. The kindergarten became famous for its openness towards the parents and the bilinguality, which was published in a lot of newspaper at that time. In the meantime the folk tradition of the Roma community in Hodasz has been added to the traditions of Catholic reli¬gious life, especially for the illustrious days. Slightly before the political system changed they began to leave off their folk cos¬tumes, primarily due to the media as well as in the hope of expected adoption of the majority society. Nowdays, especial¬ly the older aged group has acted in folk costumes yet. Only the older people can remember of the practice of bell and tin¬kle molding in the 1800s from the stories of their grandpa¬rents. Till the change of the political system men were mainly engaged in keeping bovine, while women worked in day labour at the local peasants. ordinary language-formerly Lenin Street, and Ady Endre street. The building was built in 1950 to 60s. Next to the undi¬vided, gabled house with rammed mud walls, there were two similar houses in the site, which were unbuilt in the 1970s, at the time of the liquadition of the settlement and the building of reduced value houses. Michael Rezmuves ’Greek’ and his wife ’Braga’ were the second owners of the house. 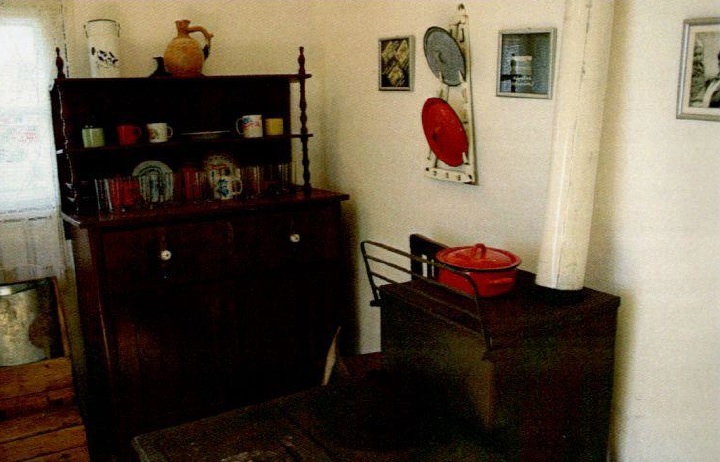 They built a kitchen to the room in the 1970s. After the elderly couple died the family sold the house for another elderly couple called Rezmuves Karoly ’Kakar’ and his wife. I bought the property and the associated plot of land from them in very neglected condition. 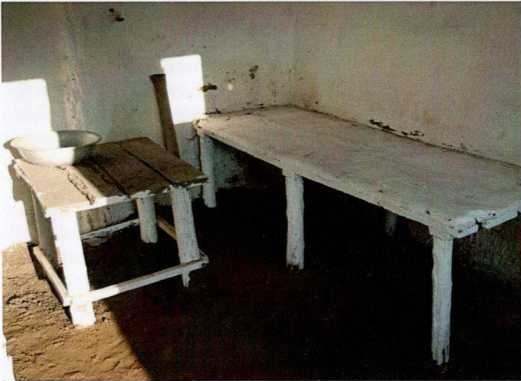 By the support of local people in 2001 was created a half-in-the-ground shanty on the property, which is intended to present the housing of the II. World War period. 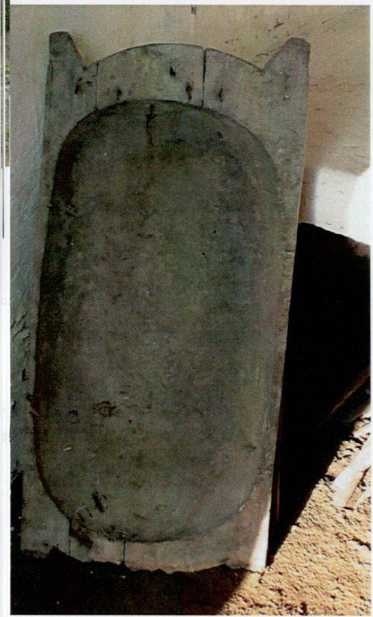 crossed on the four shafts plastered by mud and on the smooth surface with a one hole structure was put, made by tin plate with a pipe through the wall to keep the smoke outside. The washing facilities meant for a basin. Nails were driven in the door for hanging out their clothes or they were put under a pillow. The pillow was made by rough sackcloth, straw was in it and a skirt or apron was put on it to be softer. A multi-family, if they did not fit the diko, that night they slept on scattered straw and coats on the floor. They lit with lampions in darkness. The extending of the collection of the Country House is typically available in this year. First, we focus on the con¬temporary fittings and the objects of the use of the house. In addition, we con¬sider that it is im¬portant to present the traditional Ro¬ma crafts, tools, ob¬jects of use and or¬naments. The photograph¬ic collection contin¬ues to grow - fami¬ly, military photos, photos taken with the establishment of the kindergar¬ten, pictures relat¬ed to religious life -, which attempts to show the life of the community from the 1950s. We keep on eye the male and female national cos¬tume in all municipalities. is to ride in lorry and the petting zoo. The events fit to the profile of the Count¬ry House, which ser¬ve the function of living in country houses. The various trades and crafts demonstrations, which are nail (spike) forging, wood carving, beading, glass painting, gaskets, weaving, baking gingerbread, doughnut baking, making ’bokoji’ (bread) are to describe the workflow of making for the visitors. There is largest need for the community building. Mainly for primary school students and for older people have been organized programs in this direction, so far. Mostly the guitar and synthesiser tuition and the craft sessions was received with pleasure by the children. For the families informal lectures, contests, culinary work¬shops, and outdoor movie theaters were organized, that we want to be again this year. In the future we want to thrive with a Creative Workshop and a barn where we could hold tempo¬rary exhibitions, drama, illustrious days and dance sessions. We stand for and emphasize that all good-intentioned peo¬ple are welcome for the programs of the Country House re¬gardless of their origin and denomination. Visiting the library in the village center is recommended all the tourists, which was named after that local-born Michael Czine - well-known writer and literary historian. The writer's legacy of library can be found in the library. Opposite the library next to the Protestant churchyard is located the bust of the writer. The fishpond which can be hit on a road besides the railway station driving into the village is suitable for relaxation and the direction of family programs equally.